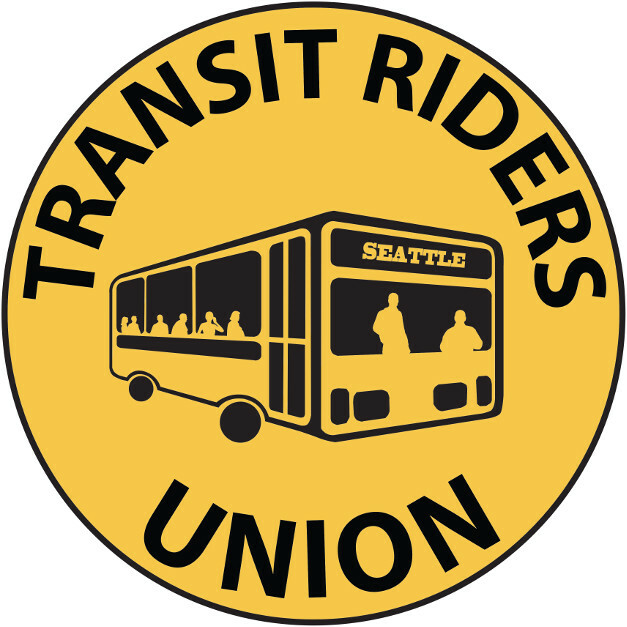 The Transit Riders Union (TRU) is organizing to ensure that everyone in our community can access transit options, especially with the recent expansion of the Light Rail and subsequent changes to some bus service. 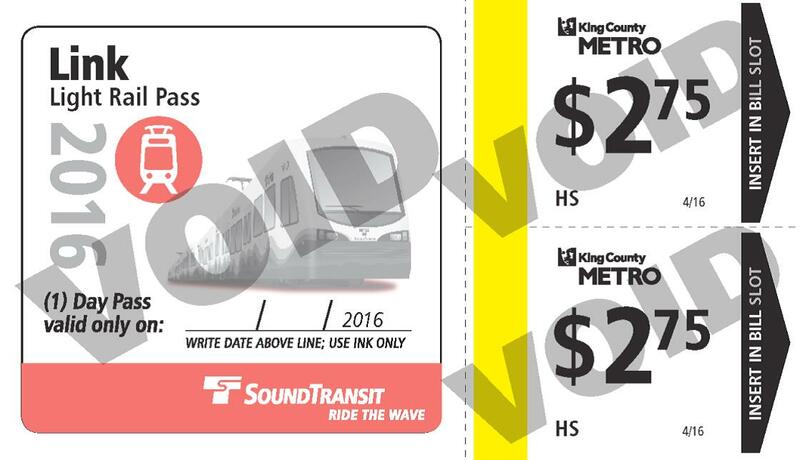 As a reminder, the ORCA LIFT low-income fare is now available for anyone in King, Snohomish, or Pierce county who makes less than 200% of the federal poverty limit ($23,760 for a household of 1, $40,320 for a household of 3). Visit www.orcalift.com for more information! The following information was shared at our April 21 General Membership meeting, and prepared as a guest blog post by Katie Wilson, General Secretary of TRU. PDF version here. The problem: Toward the end of last year TRU started realizing that the expansion of Link Light Rail and the Metro bus service restructure would raise barriers for people who use bus tickets, since the tickets and paper transfers are not accepted as proof of payment on light rail. The pressure: After a letter and meetings with councilmembers produced inconclusive results, we started a petition and announced a public action for April 16th. The KC Exec’s office quickly got in touch to tell us they were working on a solution. Raising the cap: Since we’ve heard from many organizations that they were not allocated their full ticket request this year, we have also urged county councilmembers to raise the cap. Councilmember Dave Upthegrove has been very responsive on this issue (call or email him to say thanks!) and we understand that legislation is in the works to raise the cap in the near future, hopefully in May. Reducing the “match”: Clearly many organizations are unable to purchase enough tickets not because of the cap, but because of the cost. We’ve begun push for the tickets to be priced at less than 20% of face value, and Councilmember Upthegrove has expressed willingness to have this conversation. We don’t have any firm commitment yet, though, so we need your help. If the cost of the tickets is a burden for your organization, please address this issue in the survey (see below)! Card-based solutions: One thing that has emerged clearly through this campaign is that for many low-income, no-income and homeless people, acquiring enough tickets to meet their transportation needs is a time-consuming and frustrating daily process. 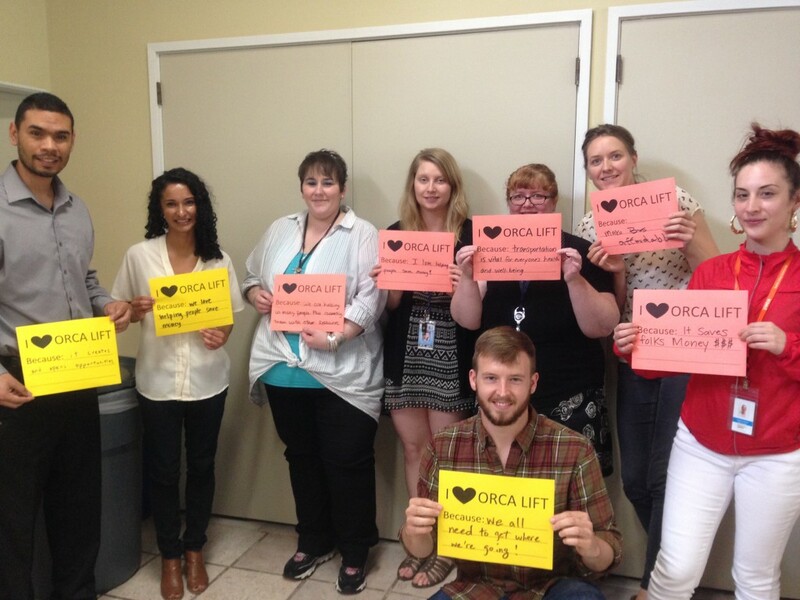 Although some need for single-use tickets will remain, many people could be better served by an unlimited monthly ORCA (or ORCA LIFT) pass, or a card that could be refilled by social service organizations at a deep discount. We have suggested this to Metro and to councilmembers and they have expressed a willingness to explore options. Stay in touch: Transit Riders Union will continue working with the Coalition on Homelessness, but if you’d like to get direct communications on this specific issue from TRU, email or call Katie Wilson (contact info below) and introduce yourself. With 400,000 daily rides, Metro helps keep us moving. Due to gridlock in Olympia and limited options, Metro’s facing 17% cuts to bus service, affecting 80% of today’s bus riders and putting up to 30,000 cars back on our already clogged streets. Now, it’s up to the voters of King County to keep Metro moving: we must vote YES on Proposition 1 to protect bus service and fix our roads and bridges throughout King County. In order to address the rising cost of living and transportation in our county for our lowest income neighbors, Prop. 1 will also ‘buy down’ the new Low Income Metro Fare to a more affordable rate of $1.25, and create a license-fee rebate for low income car owners. Let’s keep Metro and our community moving! Endorse Prop. 1 … Whether you’re an individual, non-profit, or otherwise, you can endorse this ballot measure! Volunteer … To learn more about how you or your organization can get involved, contact Matt Taylor (206-329-2336; matt@movekingcountynow.org). Spread the word! … Information is power, so spread the ‘YES on Prop. 1’ message far and wide, using social media, e-mail lists, newsletters, etc. Here’s MoveKingCountyNow’s flyer and their comprehensive FAQ. Got questions about what to include? Contact MoveKingCountyNow (206-329-2336). Register voters … The last day to register to vote or update voter registration is Monday, March 24, 2014 (or April 14 for first-time voters who register in-person at select locations). Check voter registration status, register to vote, or download a voter registration form at http://kingcounty.gov/elections. And remember that you don’t need a house to have a voice. Help ensure that every eligible voter can register, vote, and participate fully in the democratic process, regardless of where they sleep at night or whether they have a way to receive mail. For comprehensive information about how to help people register and vote, use and distribute the Seattle/King County Coalition on Homelessness’ free, non-partisan *Special Edition* Voters’ Guide. We did it: We have a Low Income Metro Fare! This historic policy win will help tens of thousands of people get on the bus. This is a big win! If you filled out a postcard, played our “Metro Mad Libs,” called and e-mailed, or turned out to public meetings, you should be proud. Together we have moved our region into the forefront of public policy that connects transit to other social and economic goals. What we wouldn’t give to get a couple of extra days at the end of February. Do you feel the same? It’s a good thing we’ve been posting these abbreviated meeting notes so that you can make the most out of the time you have! Last week’s General Member Meeting was quite timely, what with the Legislative Session over half-way through and the next phase of Reduced Fare actions taking place. Be sure to catch up if you missed out, or refresh on details if you attended. Here’s what happened at the latest General Member Meeting, held on February 20, 2014. As a reminder, the General Member Meeting takes place every third Thursday of the month from 9.00 – 11.00 a.m. at the East Cherry YWCA (2820 E. Cherry Street in Seattle). For more information, check our website’s Members’ tab for a link to the ‘Committees & Meetings’ page, or simply follow this link to take you there directly. Our next General Member Meeting is Thursday, March 20, 2014. 2014 One Night Count Discussion: What did you think? What did you hear? What are the implications for your work? Your community? 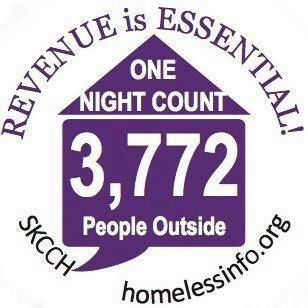 Some shared that more people were awake and moving around between 2-5 a.m.. One individual noted the dissonance in counting people who are homeless amid high rises and malls. A new Team Captain from this year’s count said she took away an extra dose of compassion and humility. A first-time counter, who was able to count in his home neighborhood, noted how different it was to see people who are homeless at night than during the day, and was also surprised at the wide age range of people who were counted. A first-time Team Captain but returning counter mentioned that this year he saw more tent encampments than in years prior. A first-time Headquarter volunteer shared that student counters came back with a new outlook on their neighborhood after counting at night. In all, everyone shared the meaningfulness of their experience, and its lasting impression. NOTE: for more information or current status on the below bills, please check out the rest of our blog and Facebook posts, and be sure to sign up for our e-mail alerts! Homeless Housing and Assistance Surcharge (aka Document Recording Fees): Passed the House, and is now in the Senate. Contact your Senator, and ask them to support HB 2368. Youth Opportunities Act: Passed the House, and is now in the Senate. Contact your Senator, and ask them to support HB 1651. Homeless Children Education Act: One bill started in the house and another started in the Senate. Each bill passed their respective houses and has moved to the other. Contact your legislators and tell them to support HB 2373/SB6074. HED/ABD, and the Housing Trust Fund: This is the first time we haven’t started the session with cuts to HEN. While that’s a great place to start, we can do so much better. Please ask your elected officials to match the average Housing Trust Fund allocations from previous years by investing a total of $18 million this year. Certificate of Restoration of Opportunity (CROP): Unfortunately, CROP did not pass through the House; it will no longer be considered this session. Rest assured, it will be back next session! Contact your legislators throughout the year to let them know the importance of CROP. Oh yes, we did! Everyone took out their phones, dialed the number listed above, and dictated to the operator on the other end their simple message in support of the Homeless Housing and Assistance Surcharge. NOTE: for more information or current status on Proposition 1 and the Low Income Fare, please check out the rest of our blog and Facebook posts, and be sure to sign up for our e-mail alerts! Please call King County Councilmember Larry Phillips @ 206-477-1004 (toll free: 800-325-6165). Message: We strongly support a reduced fare. We urge the council to “buy down” the fare to no more than $1.25. Alison provided an update and announce the Call for Letters re: Federal Reserve Bank Project. Check out our website to learn more and sign up for alerts! Keep an eye out for Member Surveys in March! We look forward to seeing you at the next General Member Meeting on Thursday, March 20, 2014! And be sure to check back here for a Recap following each meeting.